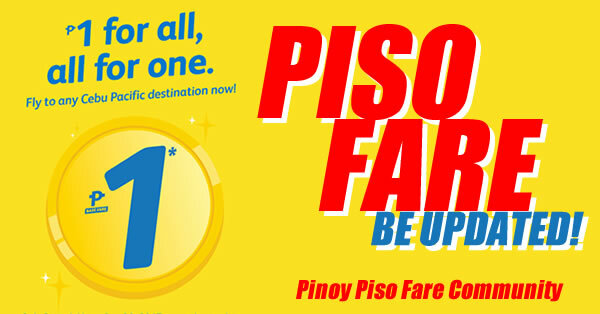 Domestic and International Seat Sale Promo Flights• Pick your favorite seat for as low as P200• Super size your baggage! 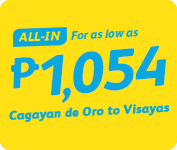 Pre-book and SAVE up to 50%• Get insured with travel insurance• Choose from available domestic and international rooms with HotelsPhilippine Destinations - To All Philippine ​FlightsFor as low as P499 ALL-IN ​ International DestinationsManila to Kota KinabaluCebu to Hong Kong, Singapore or Taipei - New!Clark to Hong Kong, Macau or SingaporeIloilo to Hong Kong or SingaporeKalibo to Hong KongDavao to Singapore New!For as low as P1,499 ALL-IN ​ Manila to Bali, Bangkok, Beijing, Brunei, Busan, Guangzhou, Hanoi, Ho Chi Minh, Hong Kong, Incheon, Jakarta, Kuala Lumpur, Macau, Nagoya, Osaka, Phuket, Siem Reap, Singapore, Shanghai, Taipei or XiamenFor as low as P1,999 ALL-IN ​ Manila to Fukuoka or Guam New!For as low as P2,499 ALL-IN ​ Manila to Doha, Dubai, Kuwait, Riyadh, Sydney or Tokyo (Narita)Cebu to Tokyo (Narita)For as low as P2,999 ALL-IN ​ SALE PERIOD: UP TO JAN. 3, 2016 OR UNTIL SEATS LAST TRAVEL PERIOD: JUN. 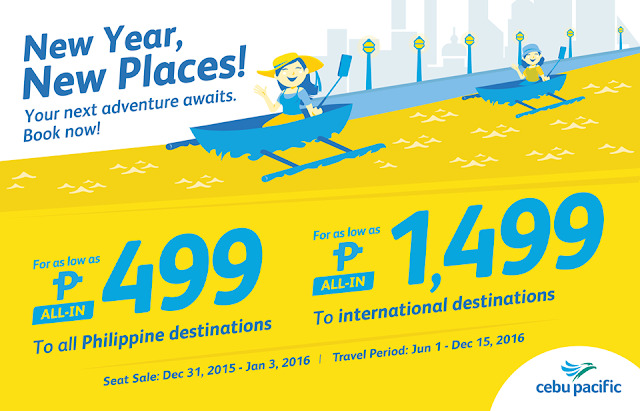 1 - DEC. 15, 2016Available Number of Seats on Sale per Route (and v.v.)DateDEC. 31, 2015JAN. 3, 2016DomesticApproval No.1403-12-23, S.2015InternationalApproval No.1402-12-23, S.2015DG CAB No:Approval No.1401, 12-23 s.2015 Quoted fares are valid for one-way travel only. Inclusive of 7 kg hand carry baggage allowance, base fare, web admin fee and all taxes collected at point-of-sale. Terminal fees for non-Manila/non-Cebu Stations and Php 1,620 International Travel Tax must be paid at the airport. 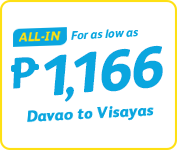 Promo fares have limited availability and are non-refundable but rebookable subject to the following rebooking fees: Php 1,500 (domestic), Php 2,300 (short haul) and Php 2,800 (long haul) plus fare difference. 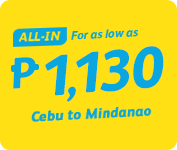 For your convenience, flight changes, availing of prepaid baggage allowance for check-in baggage and self-check-in services can be done up to four hours before your scheduled flight.For inquiries, call (02) 70-20-888 in Manila or (32) 230-8888 in Cebu orvisit the travel agent near you.